Island Conservation Project Director Richard Griffiths presents a study: past invasive species removal projects lend insight and lead to success in the future. An international conference focused on the impacts and management of invasive alien species on islands is taking place at University of Dundee, Scotland July 10-14. In anticipation of this event, we’re sharing research that will be presented by experts in the field. For more information or to register, visit the conference website. 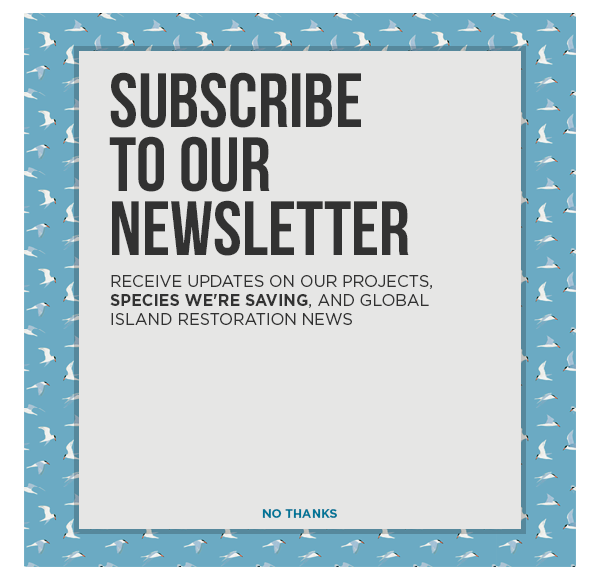 Removal of invasive rats from island ecosystems is a highly effective tool for conserving biodiversity but one that requires considerable planning effort, a high level of precision during implementation, and carries no guarantee of success. Overall rates of success are high, but lower for tropical islands where most biodiversity is at risk. We completed a qualitative comparative review on four successful and four unsuccessful tropical rat eradication projects to better understand the factors influencing the success of tropical rat eradications and shed light on how the risk of future failures can be minimized. Among other things, we found that elevated availability of natural resources (primarily fruiting or seeding plants) generated by higher than normal rainfall prior to project implementation (documented for three of the unsuccessful projects) may contribute to project failure. Our analysis highlights that invasive rat eradication can be achieved on tropical islands but suggests that events that cannot be predicted with certainty in some tropical regions can act individually or in concert to reduce the likelihood of project success. We recommend further research to determine the relative importance of these factors in the fate of future tropical projects and suggest that existing practices be re-evaluated for tropical island rodent removal projects.